Clearly, iSuppli didn’t heed James Dean’s outburst in Rebel Without a Cause, because they keep tearing things apart. The latest device to go under their knives screwdrivers isn’t an Apple product—rather, it’s a competitor—but what lies beneath the surface can shed some light on Apple's iPhone too. 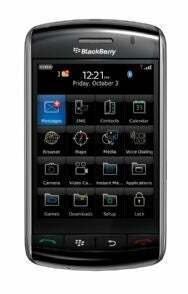 RIM’s Blackberry Storm—it of the clickable touchscreen—was touted as a potential rival to the iPhone when it debuted late last year. Interesting thing, though: when iSuppli took apart the Storm, they discovered that its component costs are actually not only more than the price of the very device at your local Verizon store, but more than the comparable cost of the iPhone as well. The bill of materials for the Storm totes up to $202.89; the Storm itself has a suggested retail price of $250, but is currently being sold with a $50 rebate from Verizon. iSuppli says the iPhone 3G, meanwhile, cost approximately $174.33 in components, despite a similar retail price. Of course, a teardown can only tell you what the cost of the physical materials is—it doesn’t factor in software development, R&D, marketing, etc. More to the point, as iSuppli points out, the price subsidy from the carrier means it’s hard to tell exactly how much each device is really costing. Still, it’s an interesting point that even though the Storm and iPhone seem at first blush to share most of the same parts—LCD touchscreen, camera, cell phone chips, flash memory, GPS—Apple would seem to be in a position to reap more profit of each device than RIM (of course, it’s also hard to know what kind of deals each manufacturer has with component vendors).